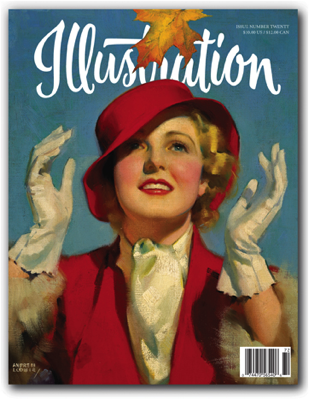 In this issue: The work of the renowned Andrew Loomis, best known today for his enduringly-popular series of “how-to” drawing books; the classic comic art of sports cartoonist Willard Mullin; the life and art of Alton Tobey, known for his Golden Books series of illustrations; Book Reviews, Events and Exhibitions, and much more! 112 pages in full color. Sold out.